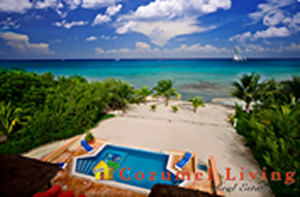 View the best Oceanfront Homes, Villas, Condominiums, Homes in Town, Lots, Businesses, and Investment Properties on the island of Cozumel with the Cozumel Living Real Estate team. Calle 23 Sur #1488 at the end of 15 Av Bis. at the corner of Tulum Ave. Located in the fabulous Corpus Christi neighborhood! COME BY AND VISIT US!!! Dialing from the US is EASY! Q. Can a foreigner buy property in Mexico? Yes, of course. The title would be held in a bank trust, or Fideicomiso (not a lease), and the buyer has all the rights of direct ownership. These include selling or leasing the property to a third party, or transferring it to a pre-appointed heir. Q. How easy is it to get a mortgage in Mexico? Actually, since most transactions are done on a cash basis via bank transfers, most buyers find it necessary to secure their own financing elsewhere. Occasionally a seller may self-finance, but it is rare. Wake up to the beautiful views in this 3 bedroom, 3.5 bathrooms home. This home features an additional private bedroom, living room, dining, kitchen, bathroom in the Guest apartment. 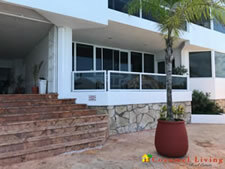 Fully Furnished home sleeps 12 comfortably. 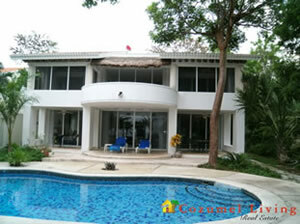 Has been a great vacation rental property. Fully equipped kitchen with bar, microwave, toaster, blender, etc. 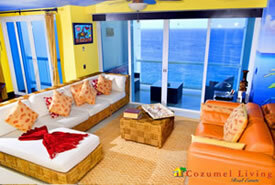 All the bedrooms face the beautiful azul crystal clear waters of the Caribbean. The house is completely air conditioned, double car garage, a workshop, outdoor shower and dressing room, water sports storage room, and rinse tank. 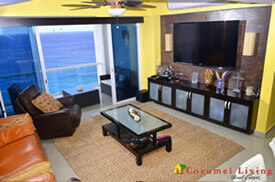 and comes complete with books, DVD´s, Cable TV, games, puzzles for your relaxing entertainment. There is a built in barbque grill at the Pool and plenty of beach chairs. Also, an easy walk to the ocean and beach clubs south and a 15 minute ride into town. NEW PHOTOS OF THE PIER INTO THE OCEAN! Large condo with private elevators to 11th floor. Condo has a patio balcony all across the front, new Inverter minsplits in every room. 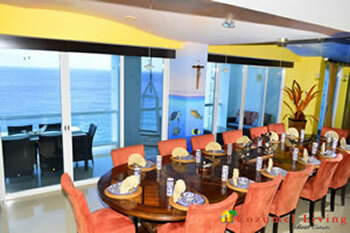 The Dining Room has formal dining for 20 people. Fully appointed kitchen with top of the line appliances. Bar area has dishwaher for crystal, wine refrigerators, etc. Nice wood built ins. Large office with storage. Monthly maintenance dues per month. Rents well at $11,000 per month. Av. 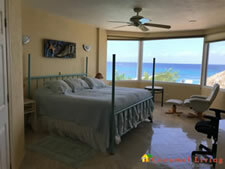 Rafael E. Melgar, Zona Hotelera Nte., San Miguel de Cozumel, Q.R. 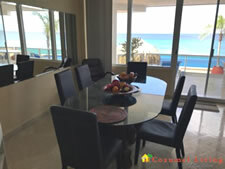 Condo that is just up from the pool, great oceanview. 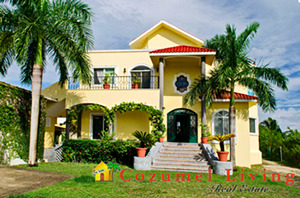 Has been an excellent vacation rental! 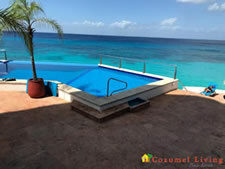 Lovely 3 bedroom, 2 bath condo with comfortable furniture, remodeled kitchen, Renters love it because it is so close to the pool and for the big terrace off the living room and master bedroom facing the pool. Great sunset views. This building is close enough to walk into town for most people. Also close to Puerto Abrigo to catch fishing boats and some dive boats.